So we finally get to the end. Kazehaya confesses just before the culture parade, and then they pretty much make it well known to everyone at the afterparty as well as the next day at school, with a lot of people being surprised at the match. Some girls are jealous, but Kurumi actually heads them off, saying there is nothing they can do that will make Kazehaya see them in a better light. And the end, basically. For the love of the Flying Spaghetti Monster, Finally! Really most of these final 3 episodes had to do with the pair starting off their relationship, since Kazehaya confessed in episode 10, and then had to deal with everyone being like “really! 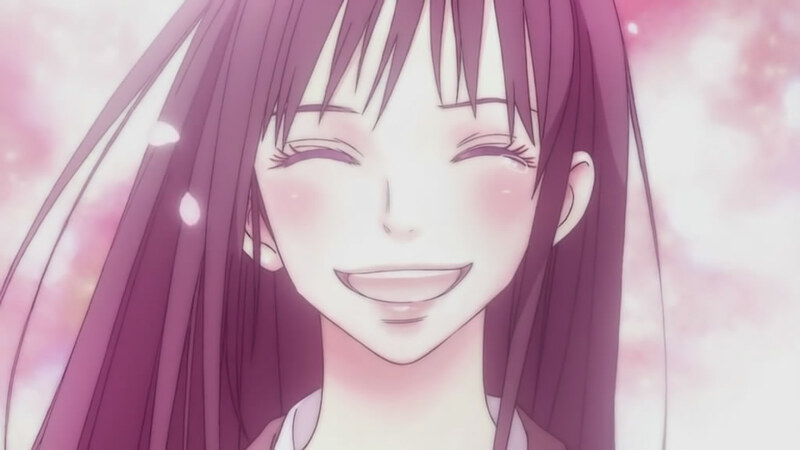 ?.” I do have to say that Kurumi made herself out to be a much better character in the second season, as she accepted defeat quite gracefully for the most part, even holding other jealous girls back from going after Sawako. I’m sure it will take a while for her to get over Kazehaya since she’s been pining after him for such a long time, and, as she said, it will probably be easier now that the contest is over. Overall, while I think this season had some pretty sweet moments, especially from the midpoint on, It was really frustrating to begin with, thinking the two were together, only for them to get distant, then confused, then think that the other had rejected them, and all of that. It would have been nice if episode 10 or 11 was about where the second season had started and they went from there, kind of like how a series like His and Her Circumstances was more about the actual relationship unfolding than the trouble of getting into it in the first place. I’ll have total nerdrage if they do a third season and we have to go through all of this yet again. 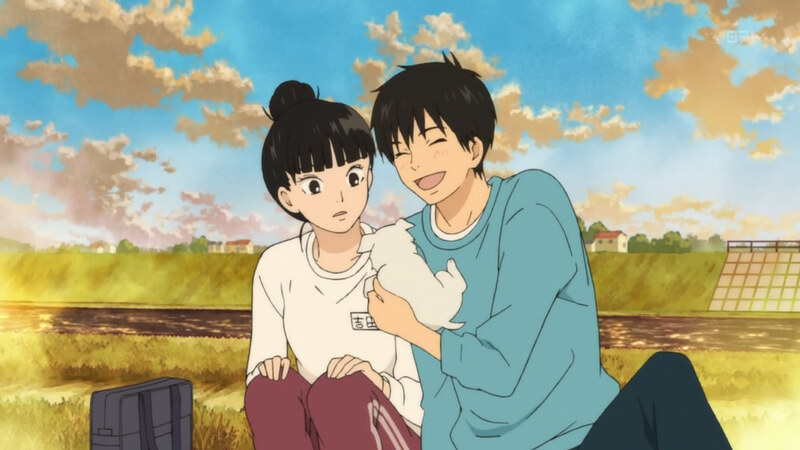 Actually, I think if they do a third season, on top of watching Kazehaya and Sawako’s relationship progress, it would be nice to see Ryo and Yoshida get together and to have Yano find someone too. Maybe even see Kurumi find someone new. This series ended in a pretty good spot so I can see them leaving it as it is, but I was just saying if they wanted to continue it, that’s what they could do. Overall, I guess it wasn’t bad. Like I said, I kind of felt like a lot of what happened was redundant with the first season, which annoyed me, but taking that away, this was a pretty good season and series overall. 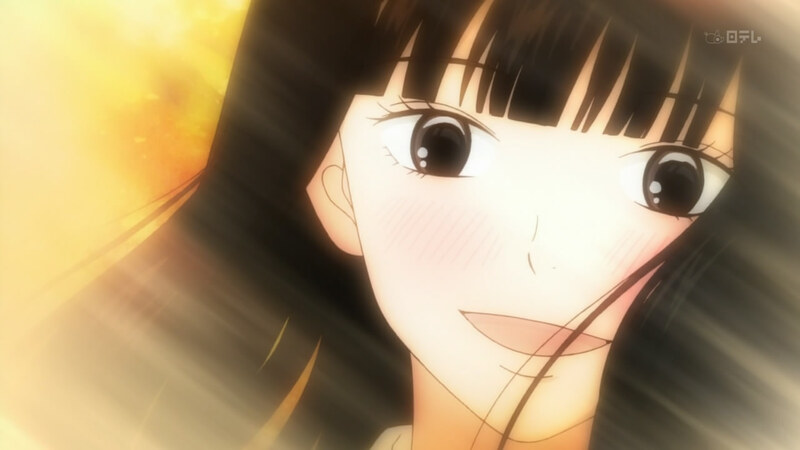 Sawako finally gets the courage to confess to Kazehaya, but they’re interrupted before Kazehaya can (verbally) respond, and even though they shared a nice embrace, Sawako is still under the impression that Kazehaya only likes her as a friend. However, some encouragement from Pin while working on cultural festival stuff encourages her to talk to him again. 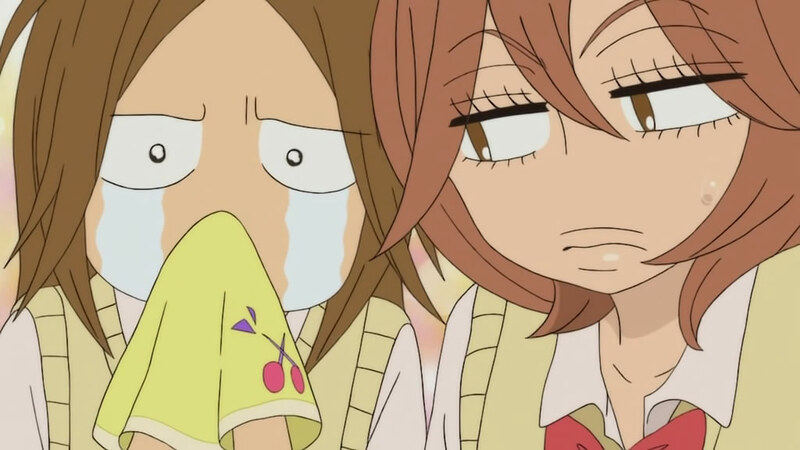 Is our long Kimi ni Todoke Nightmare finally over? Kent still tries to interfere some, I think partly to clean up the mess he made. 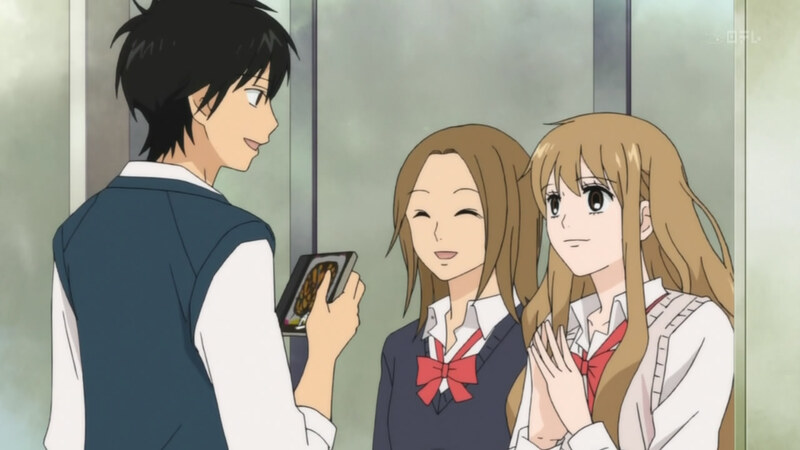 His first attempt doesn’t go so well, telling Sawako in front of half the school that he thinks Kazehaya likes her, but his second attempt during the cultural festival is a bit more productive, finally convincing Sawako to admit her feelings to Kazehaya. 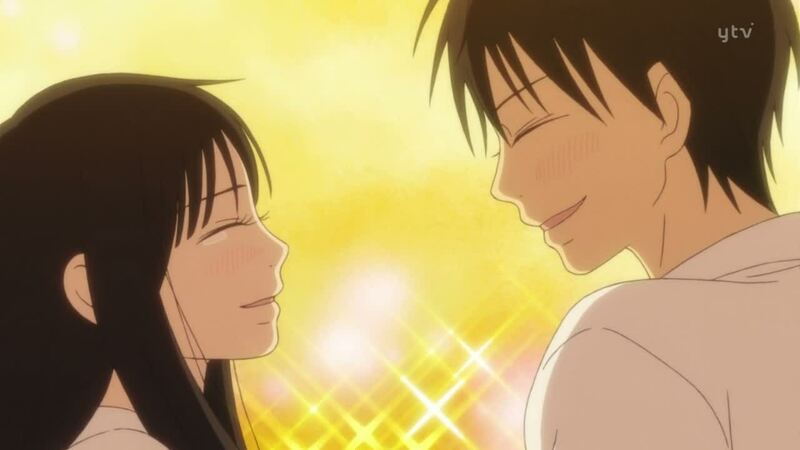 However, the confusion over who thought who rejected whom before still leads to problems as, I’m sure Kazehaya thinks things are settled since he thinks Sawako rejected him then came back around while Sawako thinks Kazehaya rejected her but still hasn’t changed his mind. 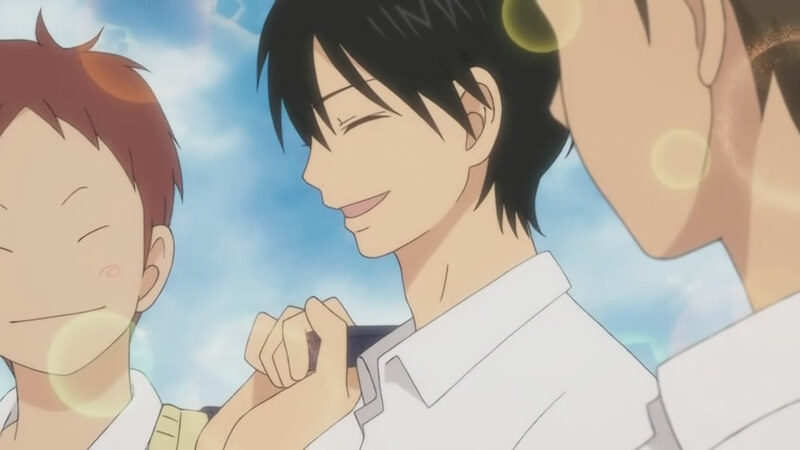 Hopefully Kazehaya will reaffirm his feelings when the two meet up, presumably at the start of the next episode. We saw Kurumi for the first real time in a while in these episodes, though she seems pretty resigned to the fact that Sawako and Kazehaya will eventually get together, despite their current confusion. I’m not really sure we’ll be seeing very much of her from now on since she appears to have given up trying to sabotage their relationship. Kent, meanwhile, seems to be about out of it too. He’s done about all he can do and it’s really up to Sawako and Kazehaya to finish things off at this point. With one set of episodes left, I have to say at this point, this season has felt somewhat redundant. I thought we had gone through much of this already in the last season, and I figured the two were “together” at the Christmas festival, but they ended up having to get distant and go through the whole exercise again. This might be more interesting if this was the first season instead of the 2nd season. I was hoping this was going to be more about them trying to work through their relationship instead of still trying to start it in the first place. Kent starts sticking his nose into matters that he shouldn’t be. 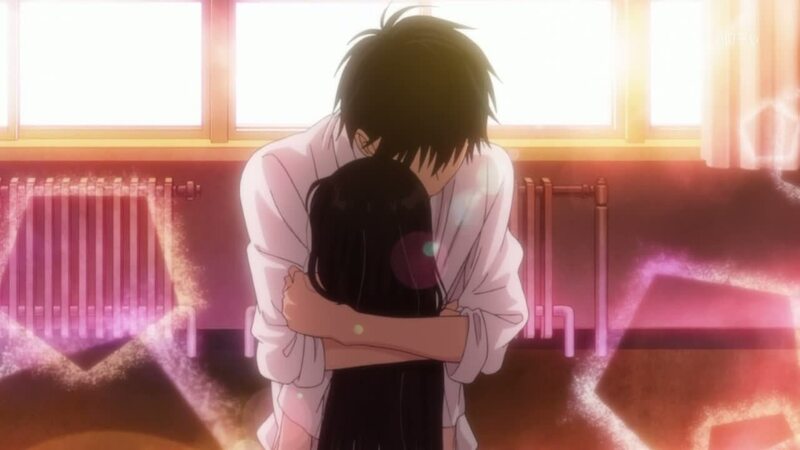 First he tells Kazehaya that he thinks he’s doing more harm that good with Sawako, saying that if other girls think he’s paying special attention to Sawako, they may become jealous and she’ll stop fitting in. 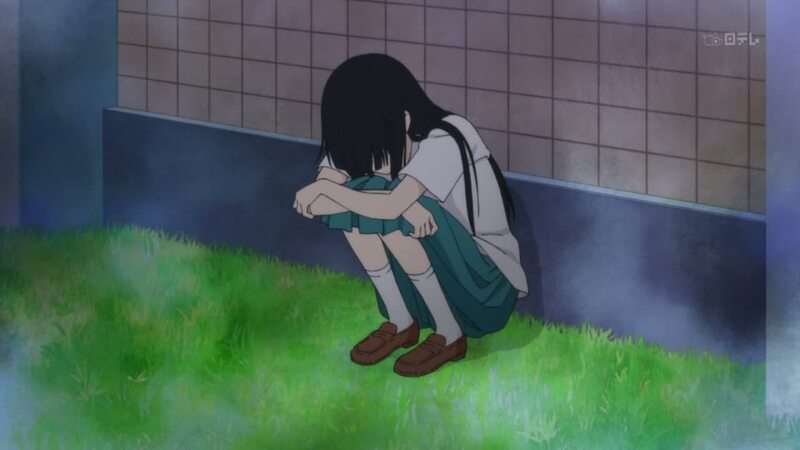 He then goes and tells Sawako that Kazehaya was just being nice to her because she was looking down and outcast and that she should think about finding someone else. Someone such as himself. Given his reaction after the events where Kazehaya confessed, it seems like Kent was saying that he was saying because he misunderstood the situation and was trying too hard to help, and not out of malice, though it could have certainly been viewed that way if he didn’t seem to realize he had made a mistake. 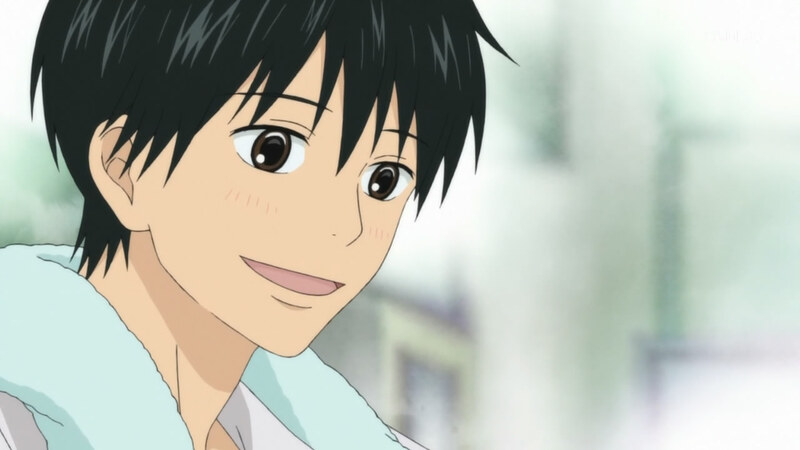 And with Kazehaya, for someone who is as impatient as he is, he seems to take one fewer step than he should when it comes to Sawako. 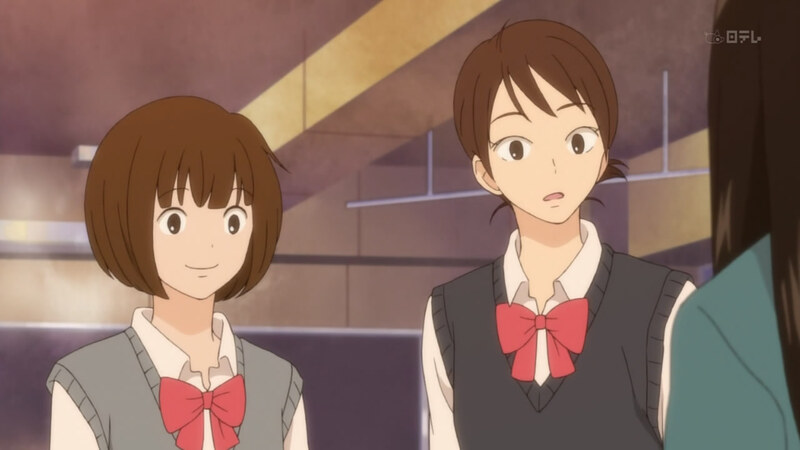 He appears content to leave it as it is when Sawako thinks he’s just saying he is friends with her instead of correcting her belief right then, and then later he assumes that Sawako just likes him as a friend instead of making sure that it isn’t more. 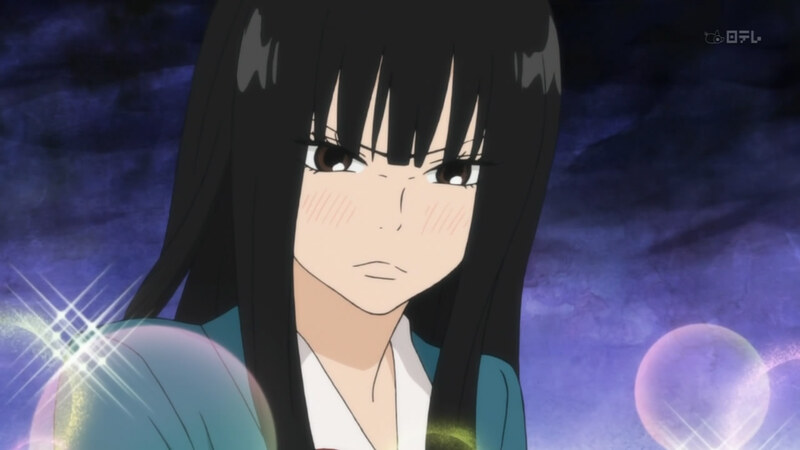 After that and Kent’s interference, I”m not sure I can really fault Sawako all that much in all of this. She was already confused, then Kent persuaded her that Kazehaya really didn’t like her, so that when he confessed, she didn’t believe that he was saying what he was really saying. NOOOOO! Not that! Anything but that! Anything but….Trigonometry! It’s been like 10 years since I took that, and just seeing cosigns on the blackboard made my head hurt again… But anyway. Someone needs to find the largest frying pan in existence and swing it as hard as they can at Kazehaya’s head. Seriously. Kazehaya says he’s selfish, and yet seems to be surrendering Sawako to Kento so easily. 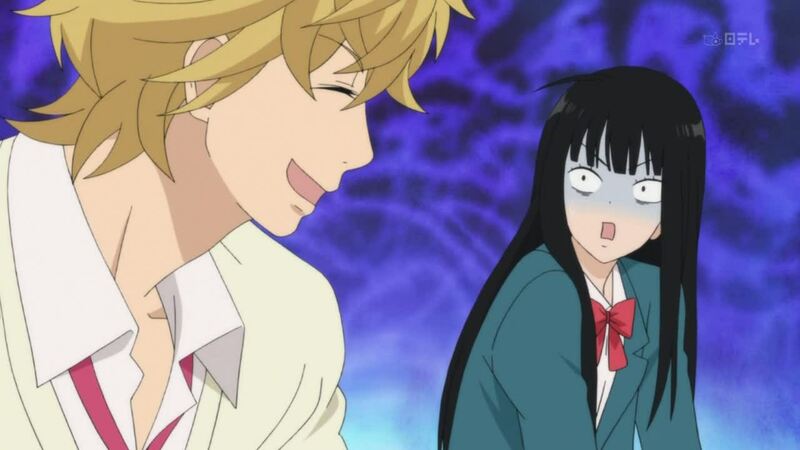 I can understand why he’s confused, with Sawako being confused and not knowing how to react either, but really, he can at least try approaching her and saying something. 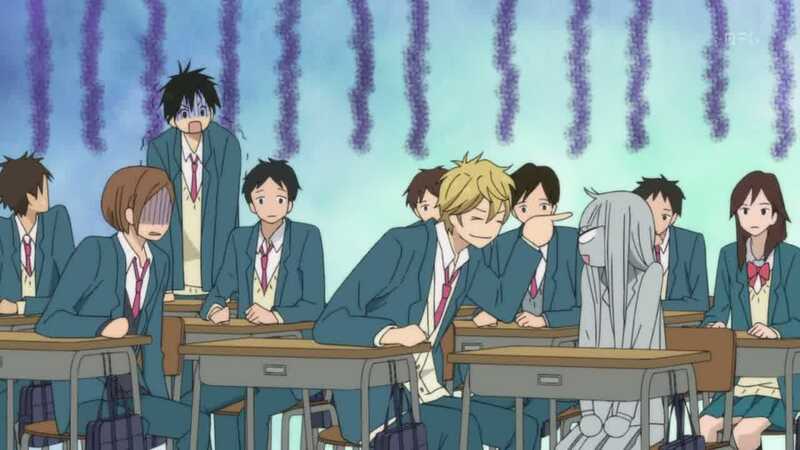 Speaking of Kento, I’m not sure what he’s up to, whether he’s just being friendly, or is trying to get Sawako, or what is going on there. As for Sawako, it’s great that she’s become friends and accepted by so many people now, though in this case it was as much think to Kento as it was Kazehaya. 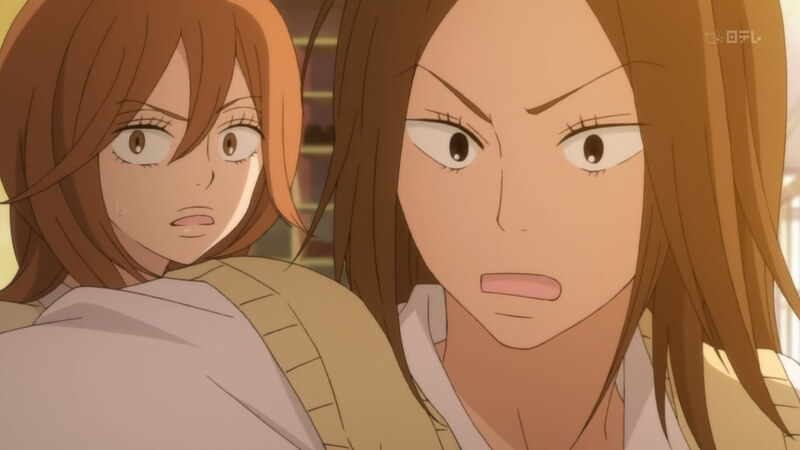 I have a feeling that Ayane and Chizuru are going to lose their patience and are going to go on the warpath soon regarding Kazehaya and Sawako. I watched the first season of this, and it was pretty good, and the second season of it seemed like an obvious thing to pick up. I’m kinda glad a second season was made of this. A lot of times shows like this get made, and then leave you kind of hanging. I should note, there is an “Episode 0,” but it is mainly just a recap episode, in the form of flashbacks by Kurumi, as she goes to buy Valentines chocolates for Kazehaya. Unsure girl? Check! Unsure Guy? Check! Female Rival for guy? Check! New male rival for girl? Double check! Ugh, why do shows have to be like “yay! they’re together” and then something happens (in this case, winter break and a new seating arrangement” and they’re back to where they were half a season ago. 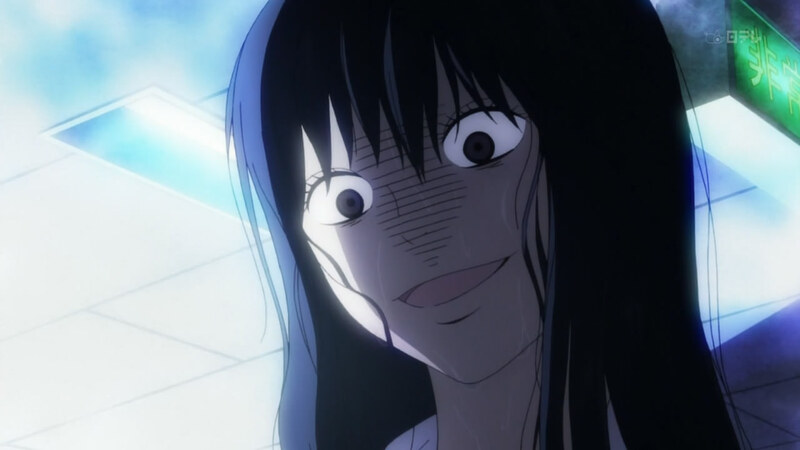 I know Sawako is still insecure and naive, but really? 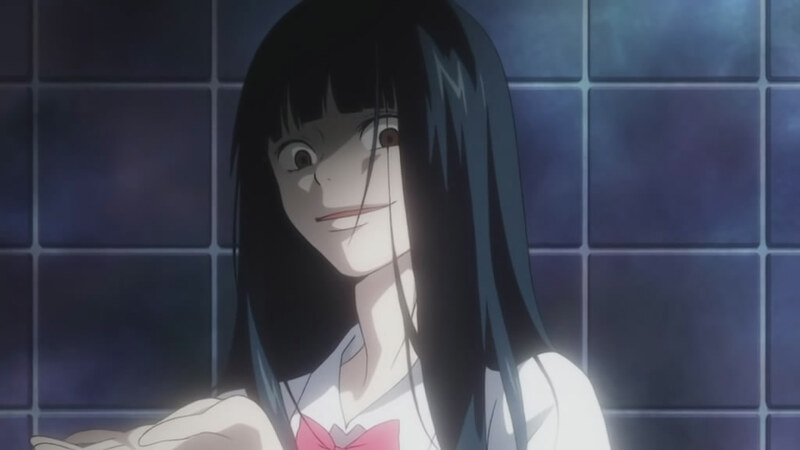 Of course, Kurumi being up to no good didn’t do anything to help the unsure Sawako at the end of the first episode, but that didn’t want me to just reach through into the TV and smack her around. I felt bad for Kazehaya because I’m sure he was all unsure now after seeing other people get chocolates from her but not him. 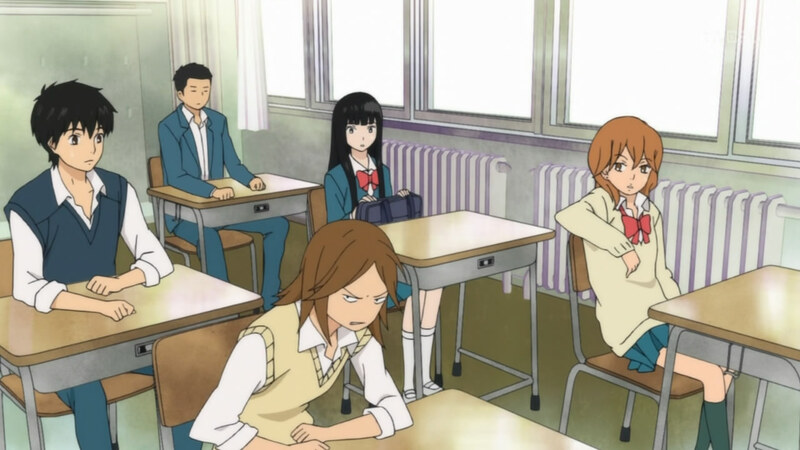 This ends up carrying on until the new school year in April, when a new rival for Sawako shows up, which starts making Kazehaya doubt himself more, as the rival, Kento, is more assertive in his dealings with Sawako as Kazehaya is. 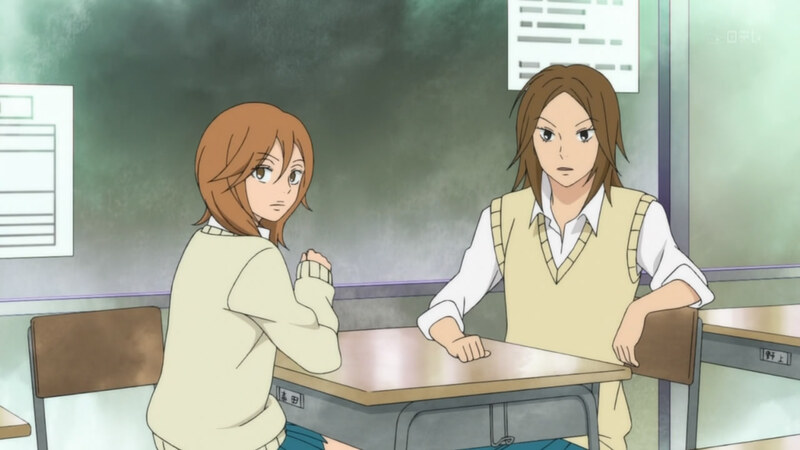 And even with Kazehaya tries to do something to stave off this rival, Sawako still seems to back off. It’s enough to make me once again to ARRRRRGGGGGHHHHH! 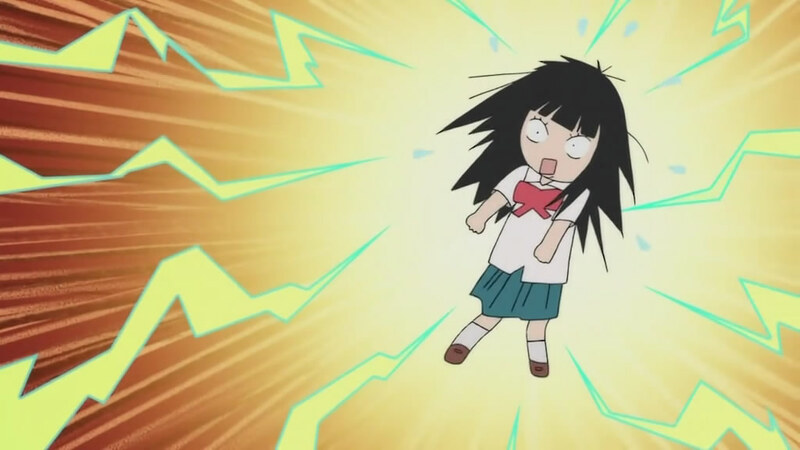 and make me want to shake some sense into Sawako. I know that Ayane is trying to be respectful by staying out of things, but maybe she should have a word with Sawako or something lol. 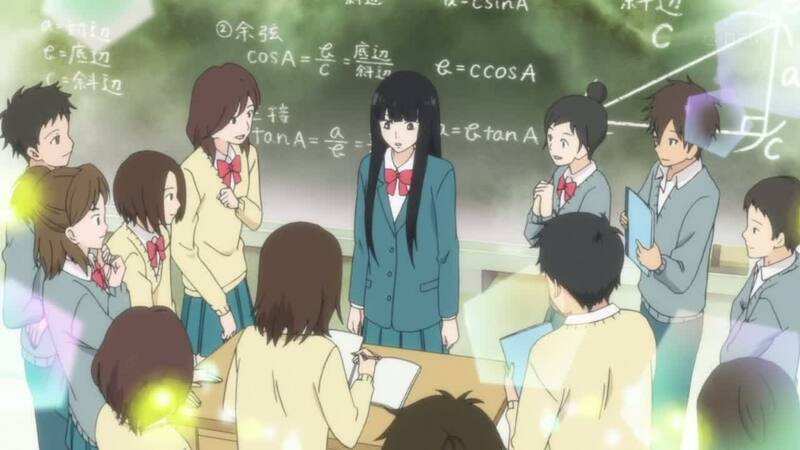 Sawako gets to know her classmates more and even helps tutor them. But the realization that there might be competition for Kazehaya’s affection is starting to become clear. Josh – I know that Polaryzed is already blogging this series, but I thought I’d chime in on it since I’m also watching it. 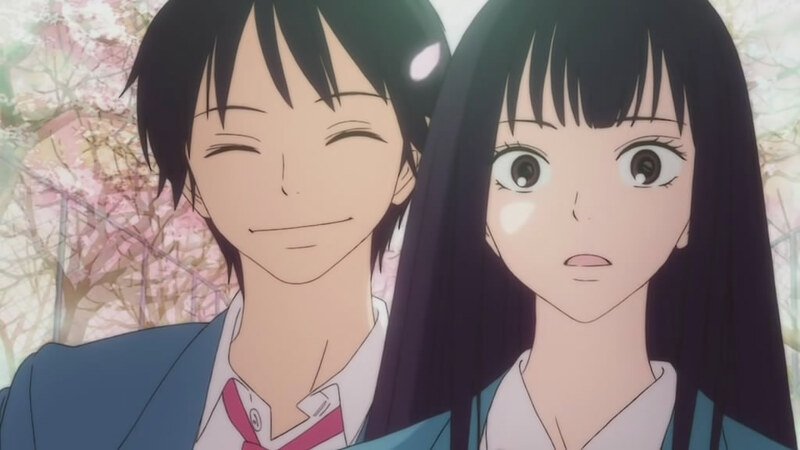 Kimi ni Todoke was a series which I actually had some serious doubts about going into it, and it was one of the last series to sneak into my watch list. However, boy am I glad that I ended up picking it because so far it looks like it might just be the series of the season after watching the first two episodes. So far there isn’t very much to dislike about this series, with good writing and animation, and a nice, but not overbearing, romance element to it. I was trying to pin down exactly what series this show reminded me of the most, but I’m not sure I can really give a good answer. It seems like my best answer is His and Her Circumstances, even though the character types for the lead characters are obviously different. But it just seems to have a particular air to the series that reminds me of it (and as long as it compares to the first 2/3 of Kare Kano, then that’s a good thing). In any case, I’m really looking forward to see how the rest of this series turns out. Sawako and Kazehaya both help a puppy and wind up drenched from the rain, but classmates help her out with dry clothes to wear. 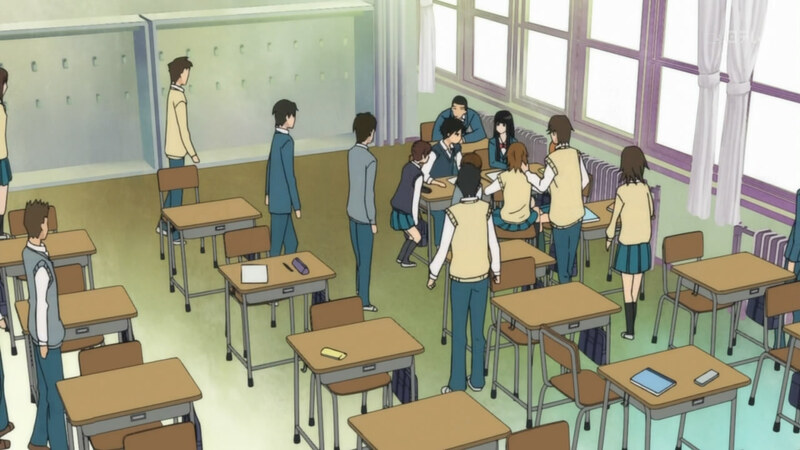 Also, seating changes are held and most of the class steer clear of Sawako, but Kazehaya and a few people decide to sit next to her by choice. 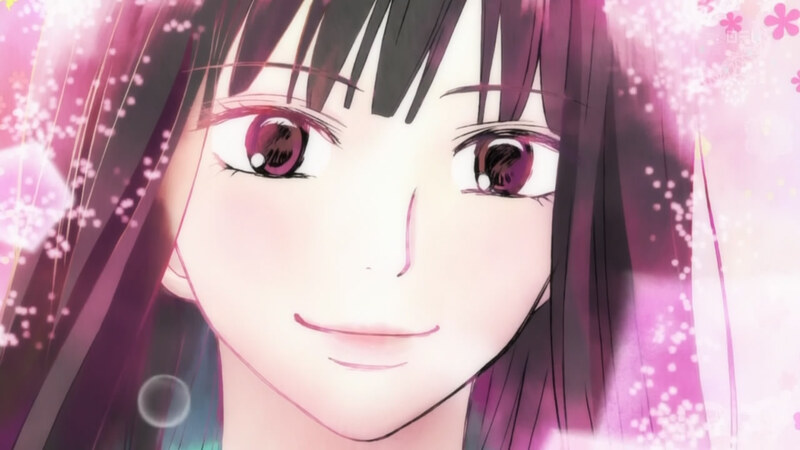 In the prologue episode for Kimi ni Todoke we are introduced to Sawako who bears a striking resemblance to Sadako the girl from The Ring and Kazehaya, the popular boy who is nice to everyone.